That’s right – of all the talents in my arsenal, this is the one that made a difference. Each week Staci would carefully craft and teach a wonderful lesson from the Bible, revealing truths about the world and everything in it. But I could roll small pieces of clay into cylindrical tubes and make hissing noises. For this, I was king. 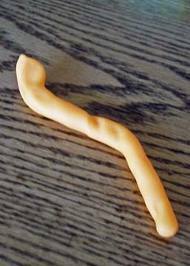 The kids would gather round to pass me their small lumps of clay and I would dazzle them with my molding prowess. “Watch this – Mr. Allen is the best with Play-Doh!” I have no shame in admitting I enjoyed the ego boost. It’s been years now, but I loved that class. The children are all grown and in high school now(man, I’m old!). But I’m still seeing the impact that teaching those kids had on me. These can be such comforting verses to anyone who feels worn out or stretched thin. An easy yoke. A light burden. Sounds good. But what about Jesus’ yoke makes it easy? It seems like everywhere you turn in scripture, God is asking someone to do something that is difficult. Noah was asked to build a huge wooden boat in anticipation of rain. Abraham, to sacrifice his only son. Joshua, to attack a fortified city basically armed with a marching band. Hosea, to marry an whore. The more I live this Christian life, the more I know that it cannot be described as easy. We are not promised a life without difficulty or pain. So how is this yoke easy? Our yoke is light because we’re not the ones bearing the burden of success. Because Noah couldn’t make it rain. And Joshua couldn’t knock down that wall. And Hosea couldn’t make his wife faithful. So many times we see the good God can do in our lives, but we are afraid of the change. We’re afraid that we don’t have it in us. And perhaps we don’t. But that’s not the point. The greatness of being yoked with Christ is that it’s out of our hands. We don’t have to be able. We are asked to be willing. We are asked to gather around the master, bring him our lumps of clay, and be amazed by what he can do with something so meager. So today may you be willing, even if you do not feel able. May you be open to the change God can make in you. May you feel a light yoke and an easy burden. 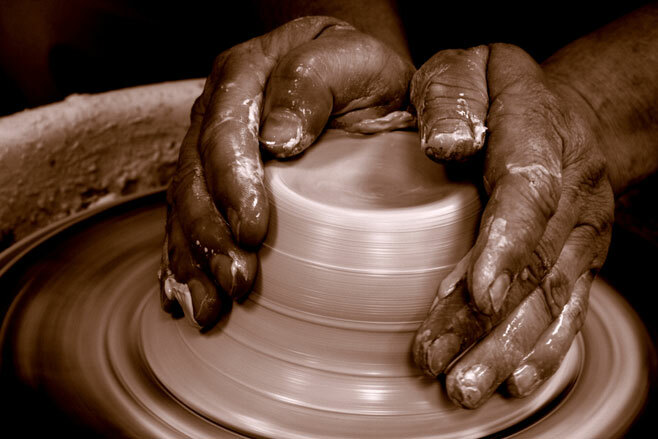 May you bring your lump of clay and see what a master potter can do. Because success is not in your hands, anyway. This entry was posted in Depth, Relationships and tagged Children, Knowing God, Play-Doh, Theology. Bookmark the permalink.